When searching for real estate to rent on the Lagos mainland, houses for rent in Yaba are reputable choices you should consider. Yaba is a popular neighbourhood in Lagos state which is home to three popular and prestigious institutions of higher learning in Lagos state; the University of Lagos, Yaba College of Technology and Federal College of Education. The demand for homes to rent in Yaba has risen over the years, as the area is popular among students and young working class people. Undergraduate and postgraduate students in the various institutions located in Yaba can decide to rent the houses in Yaba due to insufficient provision of accommodation by the institutions. Yaba isn't just an area for young people, as families can also benefit from living here. Yaba is home to a number of reputable schools, health centres and other social amenities alike. The neighbourhood is also a recreational area, with a number of fantastic hangout spots, the popular E-center is located in Sabo area of Yaba. Yaba is a great location to rent houses in Lagos as it boasts of a good road network which makes for easy access to Surulere, Gbagada and Ikeja. Houses for rent in Yaba include two to four bedroom flats, bungalows, duplexes, detached and semi-detached houses, mini flats, terrace and self-contain apartments. The popular choice of homes for rent in Yaba includes two and three bedroom flats, self-contain apartments, mini-flats and duplexes which are situated in popular areas like Onike, Akoka, Sabo, Jibowu. 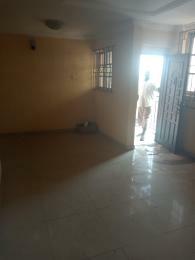 The rent prices of accommodations in Yaba is pretty affordable with the rent for a 3 bedroom apartment in Yaba starting from N600,000 which could be as high as N2,000,000 depending on the location and the structure of the house.